Jim Christensen was a farmer and cattle feeder before purchasing the agency in 1986. He is licensed in Property & Casualty, Crop, and Life & Health. Jim was active in the Nebraska Association of Fair Managers for 30 years and as their President he worked on legislative issues involving insurance and the fair industry. 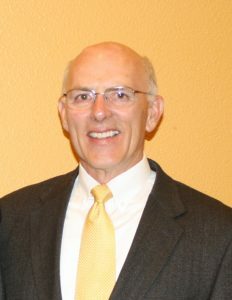 In 2004 the International Association of Fair Managers selected Jim as one of five national award winners for community service. He was honored as a FFA American Farmer and participated in LEAD X. Jim was charter member and past president of St. Paul Rotary Club and St. Paul Area Investment Club. He currently is a member of Rotary, St. Paul Area Investment Club and St. Paul Development Corporation and serves on Citizen’s Bank & Trust board of directors. 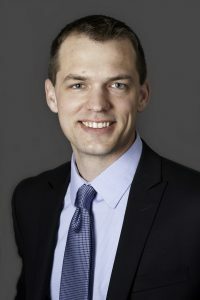 Vincent Christensen is a graduate from the University of Nebraska at Lincoln with a major in Business Administration and a minor in Economics. In 2015 he was elected to serve as Independent Insurance Agents of Nebraska’s InsurePAC/IIAN-PAC Chairman. Also in 2015 he received the Young Agent of the Year award by the Independent Insurance Agents of Nebraska. In 2016 he was elected to serve on the Independent Insurance Agents of Nebraska board. Serves on the St Paul Economic Development board. He is actively involved in Ducks Unlimited currently serving as the President of St. Paul’s local chapter. He is the past President of St. Paul’s Chamber of Commerce. Additionally he’s on the United Methodist Church Pastor Parish Relations Committee. Susan Conway joined Christensen Insurance Agency in 1991. She is licensed in Property & Casualty and Crop. Sue enjoys assisting clients with farm and crop insurance as well as personal lines. She currently is Vice President of the Central Nebraska Chapter of National Wild Turkey Federation and an American Legion Auxiliary member. Machell Naylor joined Christensen Insurance Agency in 2005 and is licensed in Property & Casualty. She enjoys all aspects of personal lines but concentrates on helping commercial and business clients. In 2008, she was chosen from Nebraska’s Independent Insurance Agents to speak on Capital Hill regarding how National Flood Insurance Program impacts Nebraskans. Machell is active in the community and is currently the President of the St. Paul Rotary Club. She received the Rotary Paul Harris Award in 2009. Carissa Stepanek joined Christensen Insurance Agency in 2008. She is licensed in Property & Casualty, Crop, and Life & Health. With her experience of growing up on a family farm, she helps our farming as well as personal lines clients. Carissa serves her community as a member of the American Legion Auxiliary, an officer in the Parent Teacher Organization at St. Paul Public School, and as an assistant summer baseball coach.